You can buy Eight Flavors: The Untold Story of American Cuisine direct from the publisher, on Amazon, Barnes and Noble, indie bookstores–or anywhere else books are sold! Buy it in Hardcover, Paperback, E-book, and Audio Book. Released in 2016 with Simon & Schuster, Eight Flavors is a #1 Bestseller on Amazon and The Atlantic called it “Richly researched, intriguing, and cleverly written.” The book received additional praise from the New York Times, USA Today, and NPR, and Lohman made media appearances on NPR, WNYC, Extra Crispy, Eater, AJ+ and many more. Her book even made a cameo in the background of Netflix’s Ugly Delicious. The United States boasts a culturally and ethnically diverse population that makes for a continually changing culinary landscape. But a young historical gastronomist named Sarah Lohman discovered that American food is united by eight flavors: black pepper, vanilla, curry powder, chili powder, soy sauce, garlic, MSG, and Sriracha. 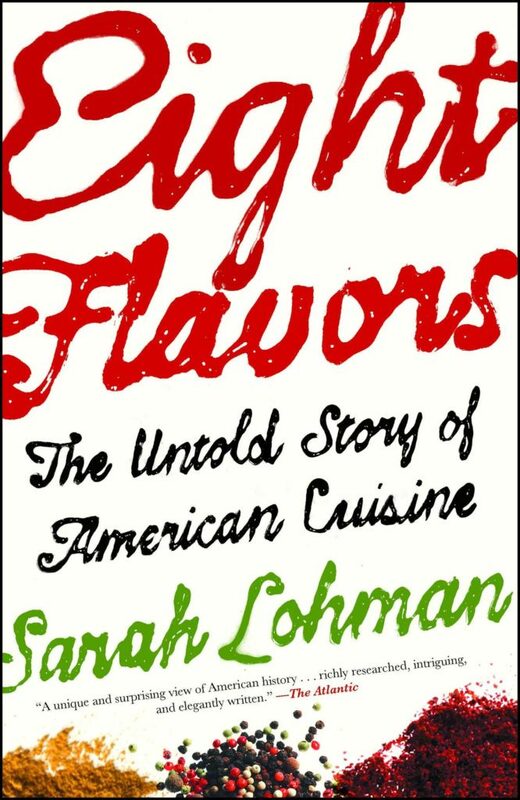 In “a unique and surprising view of American history…richly researched, intriguing, and elegantly written” (The Atlantic), Lohman sets out to explore how these influential ingredients made their way to the American table. 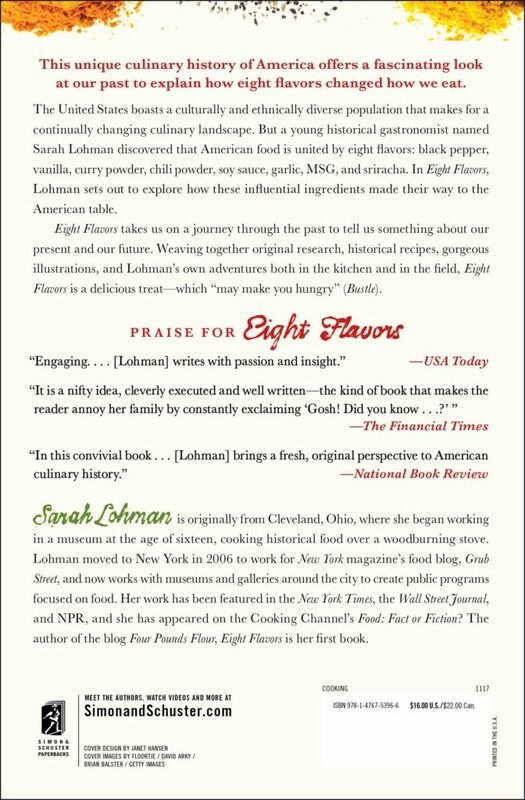 “A fresh, original perspective to American culinary history” (The Christian Science Monitor), Eight Flavors takes you on a journey through the past to tell us something about our present, and our future. We meet John Crowninshield a New England merchant who traveled to Sumatra in the 1790s in search of black pepper. And Edmond Albius, a twelve-year-old slave who lived on an island off the coast of Madagascar, who discovered the technique still used to pollinate vanilla orchids today. Weaving together original research, historical recipes, gorgeous illustrations, and Lohman’s own adventures both in the kitchen and in the field, Eight Flavors is a delicious treat—which “may make you hungry” (Bustle).